The Tambopata National Reserve is a huge nature reserve located in the southern Peruvian Amazon while it hugs along the shores of the Madre de Dios River. Encompassing over 670,000 (271,000 hectares), the reserve is accessed by plane (one hour) or bus (10 hours) from the city of Cusco. 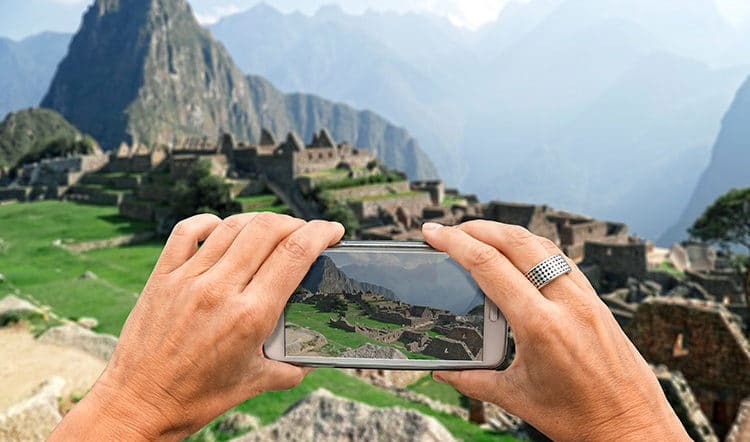 It’s one of the most thrilling destinations in Peru for family tours. With that being said, we recommend planning to spend at least four days discovering the fruits of this exotic paradise. As a result of its fascinating location, this spectacular reserve is home to an incredible variety of species. 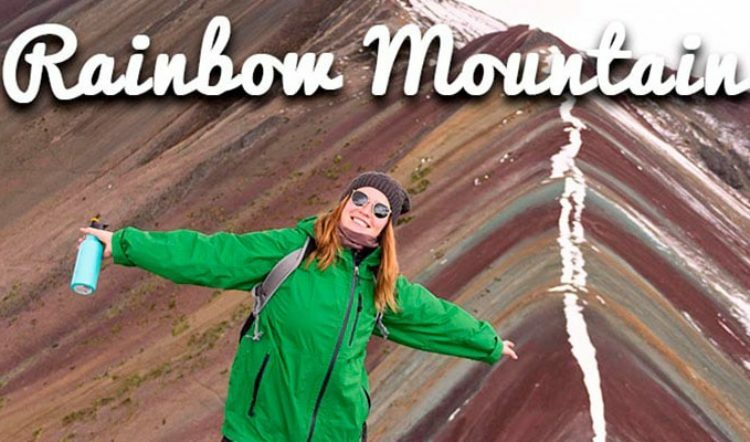 It encompasses over 10,000 plants, 200 mammals species, 100 reptiles and amphibians, 1,000 butterflies, 600 species of birds and thousands of insects! Let’s focus on the large predators of Tambopata, which are some of its most intriguing species as well as some of the most elusive to spot. 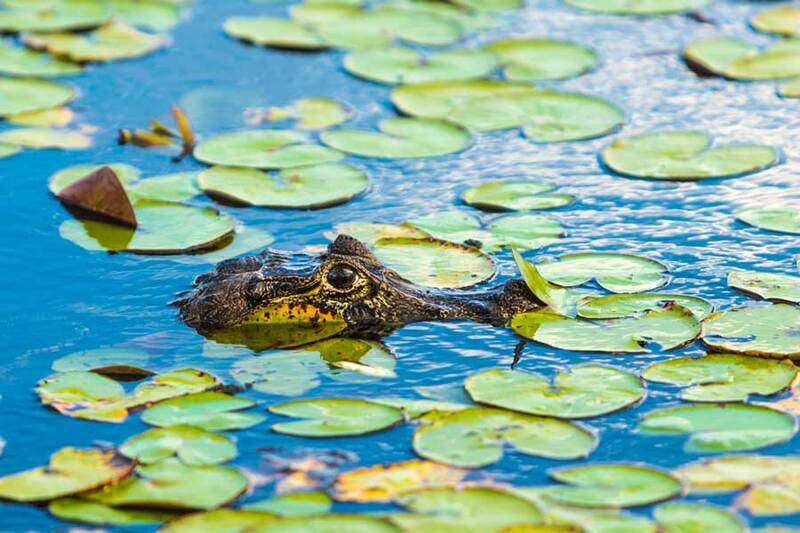 The most frequently sighted predator is the caiman, a relative of the American Alligator. A variety of caiman species can often be glimpsed in and along the reserve’s waterways. The reserve is home to four species of caiman: The dwarf caiman, the spectacled caiman, the smooth-fronted caiman, and the monstrous 15-foot (4.5-meter) black caiman. The black and spectacled caimans are the easiest to spot, while the other two species are typically more reserved. One of the most rarely seen apex predators in Tambopata is jaguar. 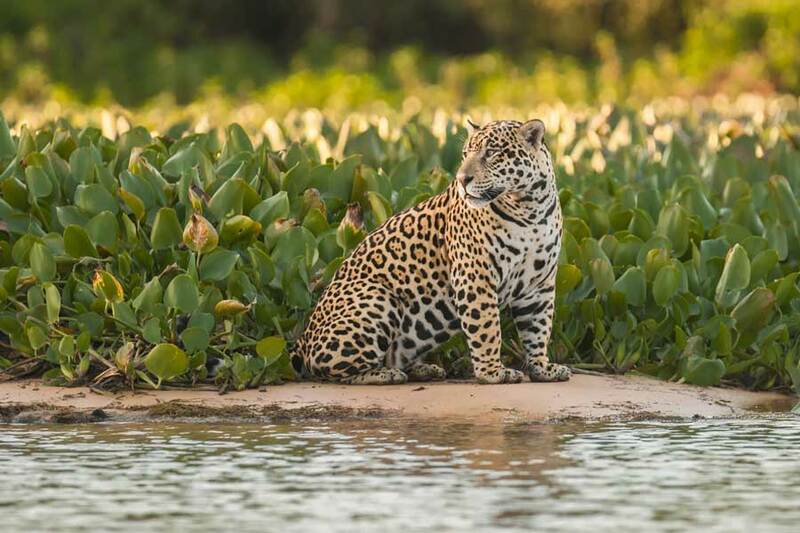 The largest feline species of the Americas, the jaguar is occasionally spotted on boat trips as it stalks along the shoreline. 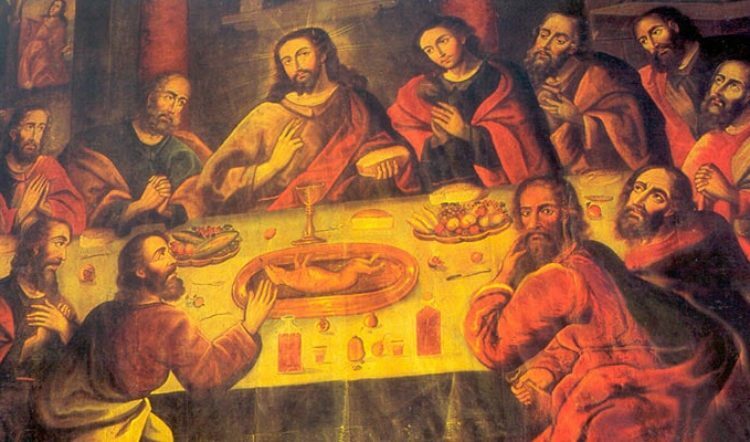 Jaguars prey upon peccaries, tapirs and a number of other species found in the region. They’re comfortable in water, pursuing prey such as capybara into the wetlands, caiman and sometimes even hunting the elusive anaconda. 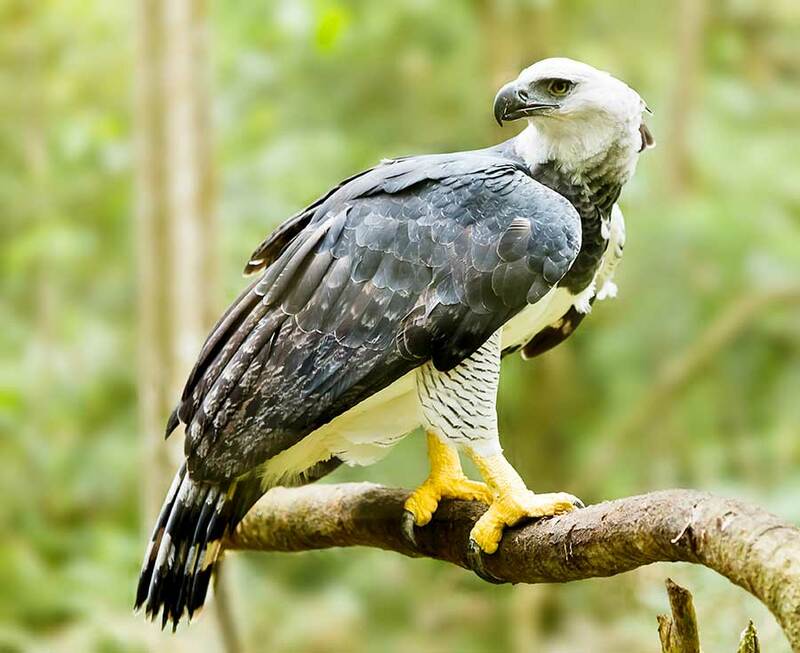 The harpy eagle, known as the “king of the Jungle Canopy”, is another elusive inhabitant of the reserve. Known to feed on sloths, monkeys, large birds and even Brocket deer, harpy eagles are the largest raptor in the Amazon. Private tours of the Tambopata National Reserve offer a chance to see these intimidating creatures. Visits to canopy observation towers and known nesting sites offer the best chances of spotting these eagles. 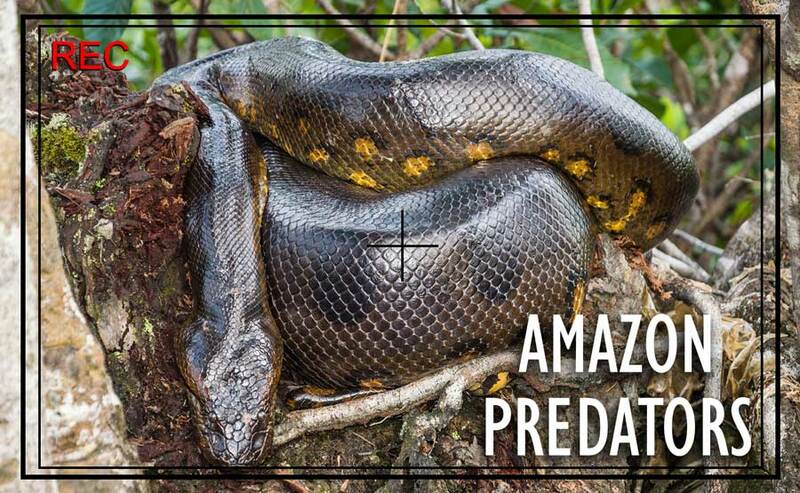 Spanning around 20 feet (6 meters) long and weighing 300 pounds (140 kilograms), the Anaconda is another chilling Amazonian predator. Quiet and subtle, anacondas spend most of its time in the dark waters of the river where they can be difficult to see. 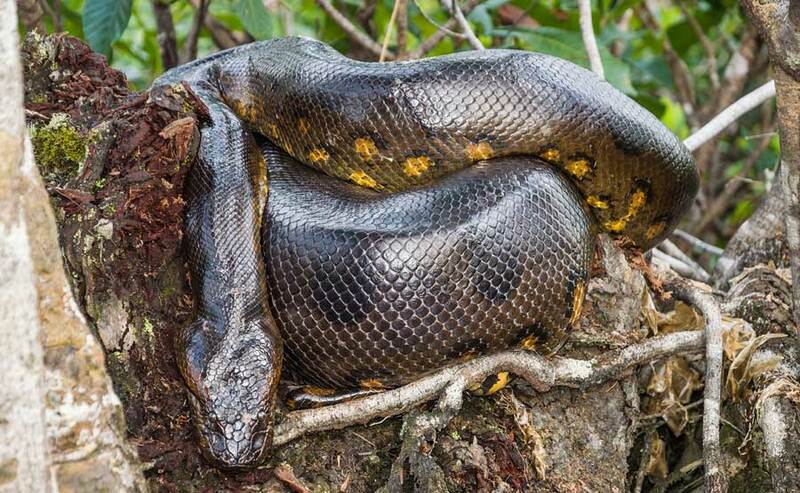 Anacondas belong to the constrictor family, which means they kill their prey by choking and then digest them whole. With patience and the help of an expert guide, along with some luck, travelers may glimpse one of these snakes in the Tambopata Reserve. 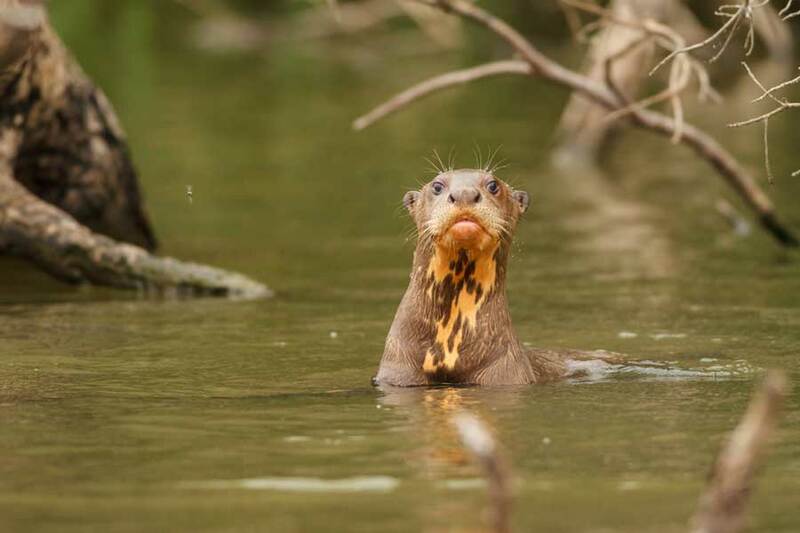 An expedition to the Oxbow Lakes often rewards visitors with a sighting of the giant otter. Tambopata is one of the few remaining regions that offer a chance to see this endangered species. Reaching lengths of around 5 feet (1.5 meters), the giant otter is the largest member of the otter or Mustelid family. The otters typically live in large family groups with as many as 20 members, communicating with them through unique barks and snorts. An expert fisher, the giant otter preys on catfish and characins. Kuoda’s custom Amazon tours can make all the arrangements to ensure travelers have the best possible chance of seeing these five predators. 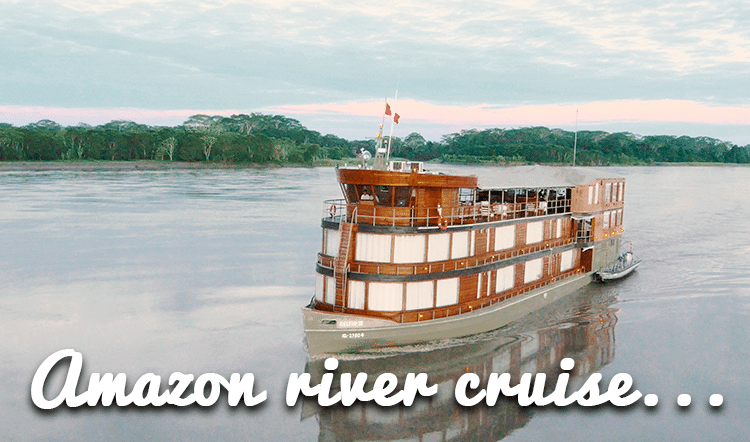 For your custom luxury tours of the Amazon rainforest, contact us and talk to a Kuoda travel designers today.